Powell S. Barnett was a child when his father arrived in Roslyn to work in the coal mines. Seeing no future in mining, Powell left for Seattle in 1906, and quickly found work. Years later, after working in construction and for hotels, he served as a clerk for State Senator Frank Connor. Barnett retired in 1971 as a maintenance man at the King County Courthouse. He was a leader in the community and directed much of his energy toward improving race relations and civic unity. 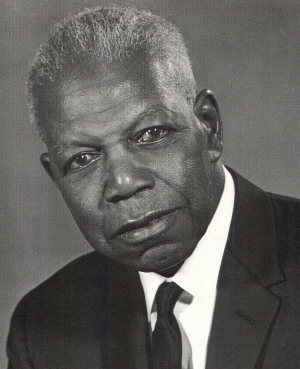 In 1967, he organized the Leschi Improvement Council (a neighborhood organization), led in organizing the East Madison YMCA, and chaired a committee that revised the Seattle Urban League, thus saving its membership in the Community Chest. Barnett was instrumental in uniting blacks and whites in the YMCA and the USO. As a tuba player, he was the first black person to become a member of the once all-white Musicians Union, Local 76. He was a star baseball player who organized the semi-pro baseball Umpires Association of Seattle and secured its affiliation with the National Association of Umpires. He also assisted Japanese Americans who had been displaced during World War II. In 1949 a 4.4 acre park in Seattle was named in his honor.